Garden House Description - An elegant, reverse level converted barn perfect for larger families and groups, with Scandi-chic designer interiors and the most exclusive hideaway on the Gitcombe estate. Entrance porch/boot room leads to huge, light, airy open plan living area, with vaulted ceilings, and comfy sofas and armchairs, plus log burner and masses of space to spread out- for quiet nights in there is a TV, freeview, cd player and DVD player. The dining area has a long refectory style dining table and benches. Sleek galley style kitchen, well equipped for larger groups, with granite work tops, stainless steel American style fridge/freezer, Miele dishwater, Miele washer-drier, microwave and Fisher Paykel oven and hob. 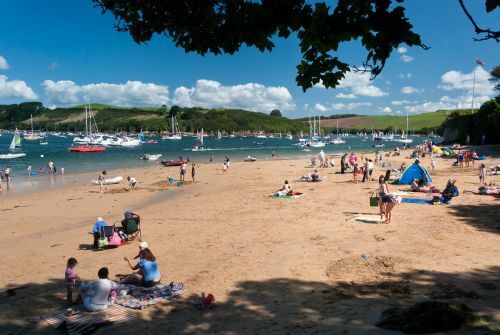 Stairs down to sleeping accommodation with 4 bedrooms one double with king sized bed and a standard double both with ensuite, a small twin (2x 2'6" beds) and a children's room with L shaped cabin beds suitable for children upto 12. 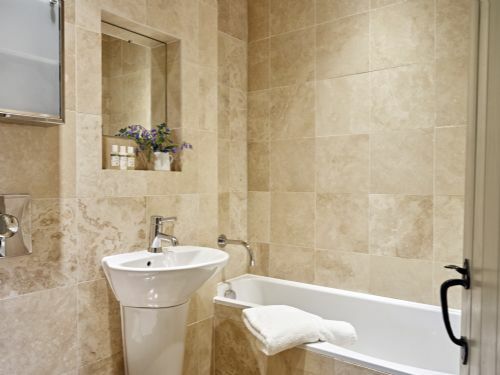 There is a further family bathroom which like the ensuites has a limestone floor. The french doors lead to a large, private terrace with wooden dining table and chairs and bear chair loungers, secluded sun bathing deck, private path to the indoor pool suite and fabulous views over Gitcombe and the countryside. Charcoal BBQ. Help yourself log and kindling store. The garden house provided an ideal layout.Little extras such as bath mats,mirrors in bedrooms and extra wall sockets are required. We stayed for a week in the Garden House - 6 adults and 2 infants. The whole site was ideal, a lot of thought had gone into making this great for family holidays with young children well-provided for. The accommodation was clean and comfortable; the kitchen area had everything we needed, fitted with a full cooker and oven, microwave, washing machine with inbuilt tumble drier, fridge/freezer and dishwasher. There was an abundance of crockery, cutlery and kitchen utensils. Heating was good throughout, and a log fire was ready-laid, and more logs were available. 2 double bedrooms had ensuite showers, and there was a separate bathroom to support the other 2 bedrooms. Young children were supported - stair gate fitted, cots available, baby bath provided, fireguards supplied for the log fire. The cottage had a private external seating area and parking. 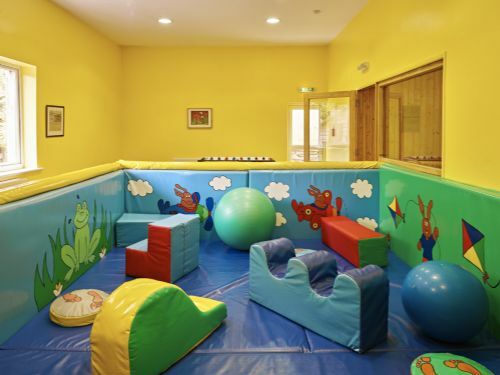 The pool, hot tub, sauna and steam room were great, and the soft play area was much used by our 2 infants. 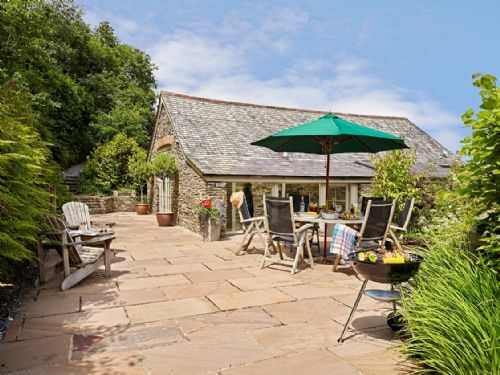 The property is about 20 minutes from Totnes and 15 minutes from Dartmouth along small lanes, and is set about a quarter of a mile back from the road - so it's quiet and has good country views. We also had a sneak peek at the New House, which should be ready by the end of the year. 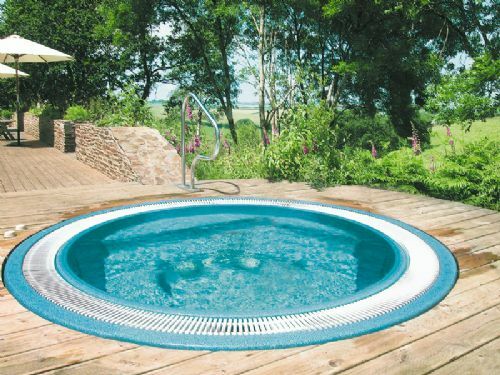 This takes the level of luxury up yet another notch, with superb views from its balcony on 2 sides of the property, large expanses of glass to maximise the views, its own private hot tub, large bedrooms with super bathrooms. We will definitely want to return. 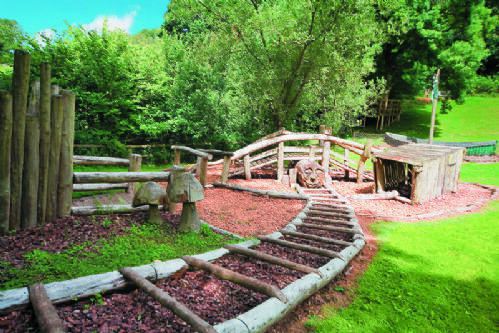 This was our third visit to Gitcombe and if possible it was better than the previous two! 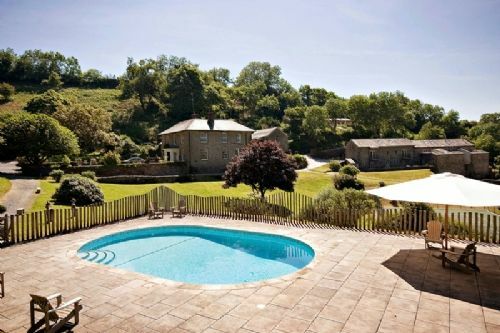 Ideal holiday situation for older children where they had the use of a tennis court and indoor pool. The children in our family really enjoyed these facilities and a God-send when the weather was not good enough for a trip to the beach. 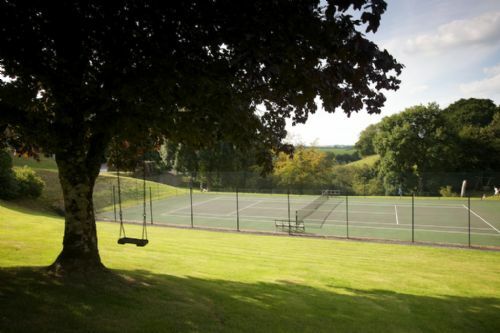 The Garden House is ideally located within the grounds providing good access to the indoor pool and a view over the tennis court. Close enough to keep an eye on the children but far enough away not to be disturbed by noise. The only criticism we would have of the accommodation is that all the sofas in the sitting area are extremely uncomfortable and have seen their best days. Living room at Garden House great for communal use of our family of 14 (sleeping in 3 cottages). Good vairety of occupations for our young, aged 1 to 14.